As I am gearing up to go to my annual Himalayan trek for the 5th time, I began to reflect.I wonder how I turned into such a seasoned trekker ! I still remember the ‘give up’ instinct in me when I didn’t want to walk myself in Srisailam forest area where I joined my husband who was on an official trek there. I thought I did myself well by walking 4 kms and refused to walk an inch further although it was just another 4kms. My mind told me ‘give up’. I didn’t mind staying back alone in the forest area where wild animals and naxals dwell – but walk-no more! I just didn’t have it in me. For the first time I noticed how I allow the ‘no’ voice within me to influence me. 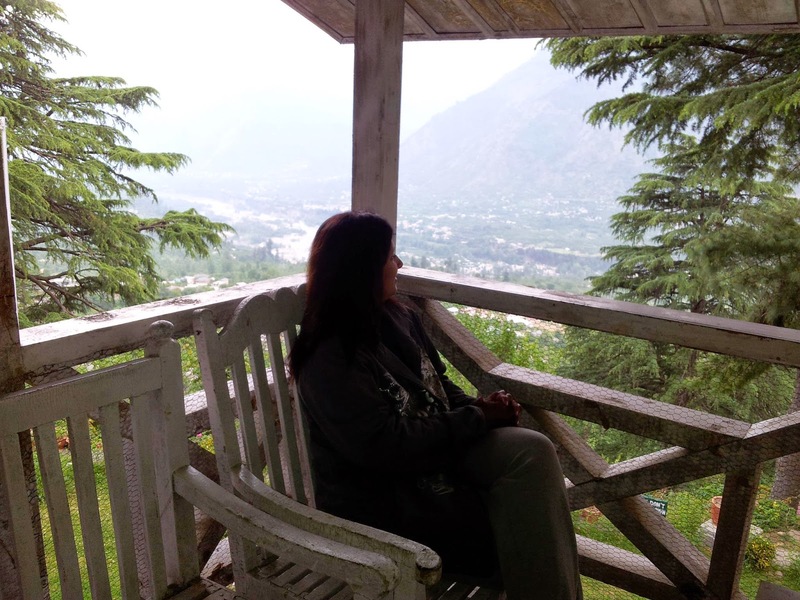 I returned from that trek with a nagging question in my mind, why do I allow the ‘NO’ ? Consistent conversations with myself and conscious efforts helped me to overcome the undesirable ‘no’. A few books, experiences and time strengthened my will to say no to no. My first willing mission to trek was at Gwalior. Although short, it revealed to me that more than my body, my mind was restraining me to walk. David Scott’s Trail at Shillong was my second trek. 18 kms from Shillong to cherrapunjee through the hills and valleys ! Enchanting sceneries and the energetic weather encouraged me to walk with spirit in every step. 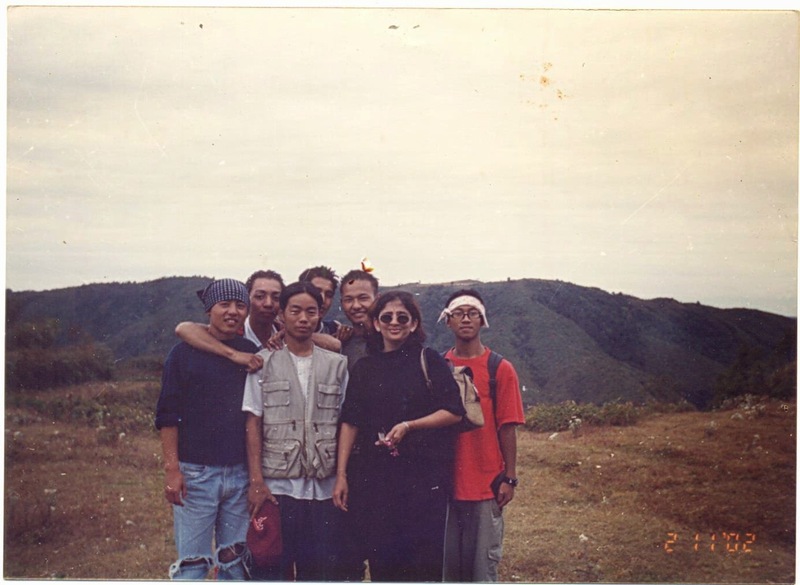 I have done this trek 5 times during our stay at Shillong. Many short treks in the serene hills of Meghalaya stoked the fire in me. I am a trekker. 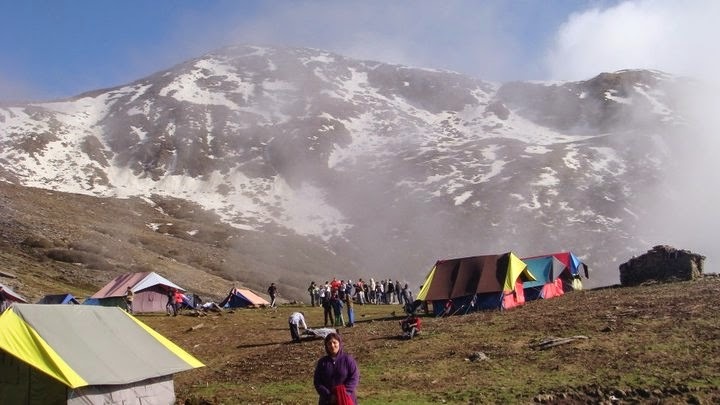 May 2009, my first Himalayan trek. 11500 ft was the target. With a mixed group of children, colleagues, friends and strangers I began the trek from the base camp at Hanuman Chatti. The ‘no’ in me was snubbed because I had to help my students to curb their ‘no’ . There’s no way I can become weak before them. On the third day of the trek when we were to reach the highest point, it began to rain. Wet and frozen, feeling lost and numb, we walked nearly 3 kms. I can still recall how feet felt like iron clogs and body felt like a tree trunk. The temptation to sit was making each step heavier, but the caution that we have to reach the camp before it gets dark pushed us forward. Camp felt like a mirage. There yet not there. My physical distress made me curse myself for letting myself into a helpless situation like this. Pain and distress were the only feelings. 2 hours of torture later, we reached the camp. A white carpet welcomed us. Snow everywhere ! That we walked in snow for the last hour dawned on us! That moment I felt liberated in mind and body. All I was aware of was a feeling of pure bliss. How fortunate I was that in my first trek itself, Himalayas welcomed me. My spiritual connection with Himalayas began then. 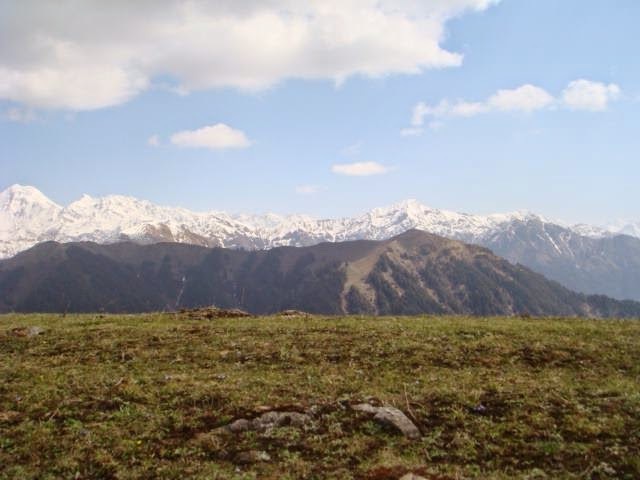 In my second trek, a mountain peak resembled Lord Shiva’s meditation posture. I believed it to be Him. 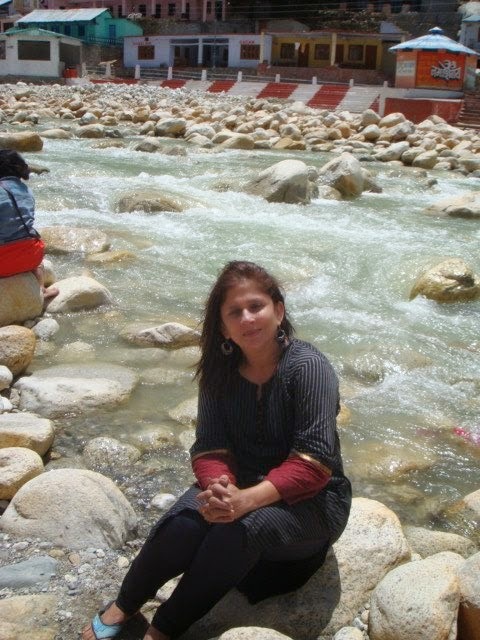 A feeling of completeness engulfed me when I took the dip in Gangotri during my 3rd trek. Highlight of my 4th trek was the base camp -Nagar, a small village above Manali. Nicholas Roerich The famous Russian Painter, archealogist, philosopher and theosophist lived here. I sat in his balcony to see what he saw a 100 years ago. Roerich Art gallery and his house were a walk away from our camp. 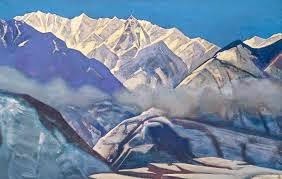 I was spellbound by the words he used to describe Himalayas and the pictures he painted to depict their tranquility. The 'NO' in me never came up. Come what may, I make sure that I feel the Himalayas during May.The discomforts of the trip do not deter me because the destination entices me. 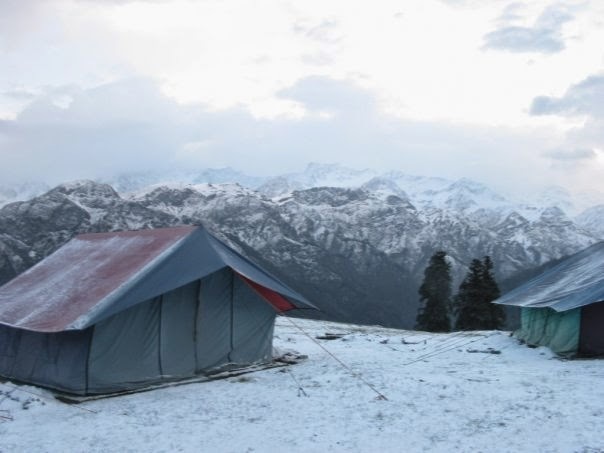 Snow - capped mountains, water springs, green meadows, snow belts and cow bells beckon me to walk ahead.Tents, sleeping bags, ruck sacks, woolens have their own significance to me. Hot food at the camp, warmth of the camp fire and the support of camp boys make these treks more enjoyable. One can walk everyday of their life in Himalayas and yet not see the entirety of it. I may have walked upto 13500 feet in the Himalayas, but what I achieved is to stop the 'no' within me. Now, I can see the canvas of life as maginificent as the Himalayas. I liked the way you articulated this so well "No to No" I still guess if we could speak a single sentence not using the word No and try some other sentence to get the work done....this is pondering to reflect for many of us most of the time we give up thinking we worked so long but just look at those who stay in Himalayas the hard life they live in ,when compared we think we are living in luxuries and we are working from morning eight to four in the evening and we think the day is so hectic. I liked the way you inspired yourself by saying No to No...Trekker of course.I wonder sometimes from where do you get these energy.No offence but being a vegetarian how could this be possible.I can see you active in the evening also you are an inspiration for many of us.I can never forget those sleeping bags my nightmares.I guess I have no fears of claustrophobia now.Mam you are awesome. Devi. I always like to listen to these kind of inspirational facts. And here is one of them. I still wonder how could u manage to visit himalayas every year inspite of indulging in a busy schedule !! It might be the power of the mountains that make u to visit every year. Its a true inspiration to me. And i strongly fixed in my mind to join u for the next trek. 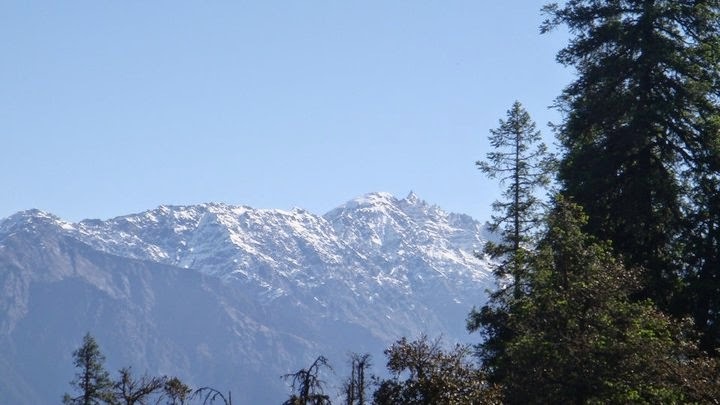 After listening ur experience in teachers workshop and after reading this blog, I really started imagining myself in himalayas. I must say, you are not only a wonderful speaker but a dynamic writer too....every time I am learning something new from you, but this time I feel I learn the most important lesson of life.." How to say no to no". Thanks for sharing your experiences.....now eagerly waiting to listen to your fifth trek experience.